My daughter lives in these sandals. I couldn't ask for a better summer sandal. She wears them everyday to the pool & beach. 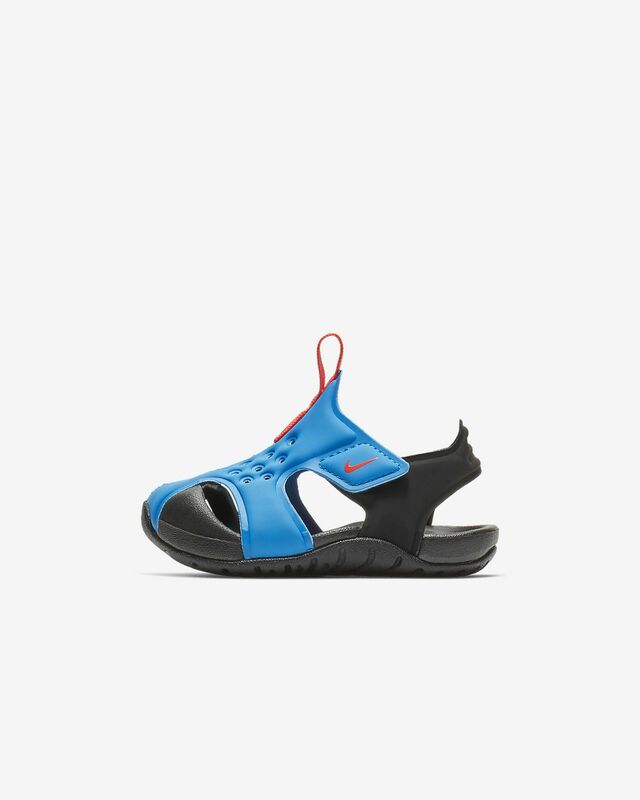 I wouldn't strongly recommend these shoes for an active toddler. The major flaw with this sandal is that the top part of the sandal which has the loop tag cuts into baby's skin and its not a soft material that will shape out over time.